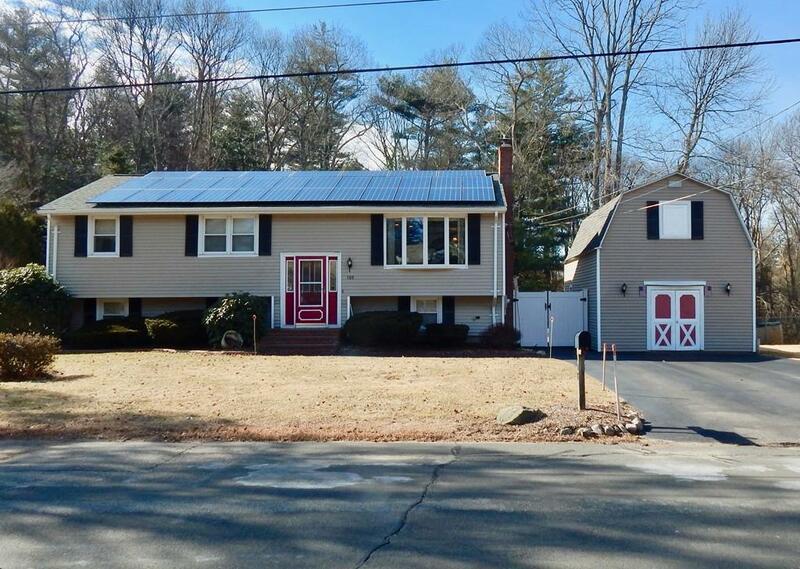 Welcome home to this Sun-drenched oversized Raised Ranch in the heart of Stoughton. The homeowners Custom built this with love. This home has everything you could think of. As you drive up the Curb appeal says it all. Entering the Front door with delight, you embark upon It's Fabulous Granite Kitchen, w/ Stainless Steel Appliances to the 3 season porch for those amazingly warm Summer Nights.All Hardwood floors, Renovated bathroom with Granite and custom tile work, to the Finished Basement which has an add'l 4th bedroom and Family room, second full bathroom and separate laundry area. Exit through the walkout to the Hot tub and Inground Pool with a fenced in yard. The barn houses a tool shop with a Kitchenette to entertain your guests all summer long. Sit around the warm fire pit roasting marshmello's with the kids and enjoy your HOME SWEET HOME!